Have you ever had an anxious feeling that news about your brand is spreading somewhere online behind your back? Do you fear that a couple of tweets will cause a social media crisis? Do you secretly hope that the recent article about your company’s newest achievement is being shared more than anyone in your department expected? We know the feeling, so we developed a feature that will help you fight it. 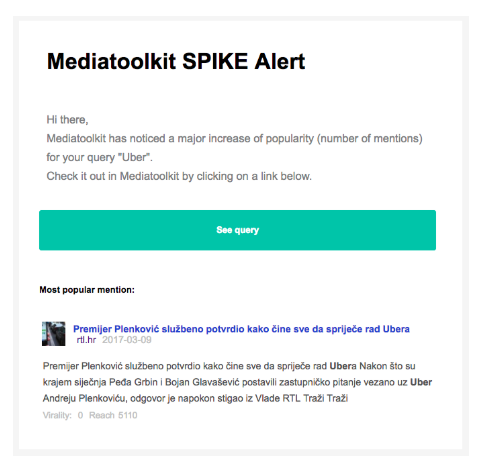 Mediatoolkit Spike will notify you immediately when your brand starts generating more online mentions than usual. Be it a sudden media crisis or a campaign video going viral, you’ll know. 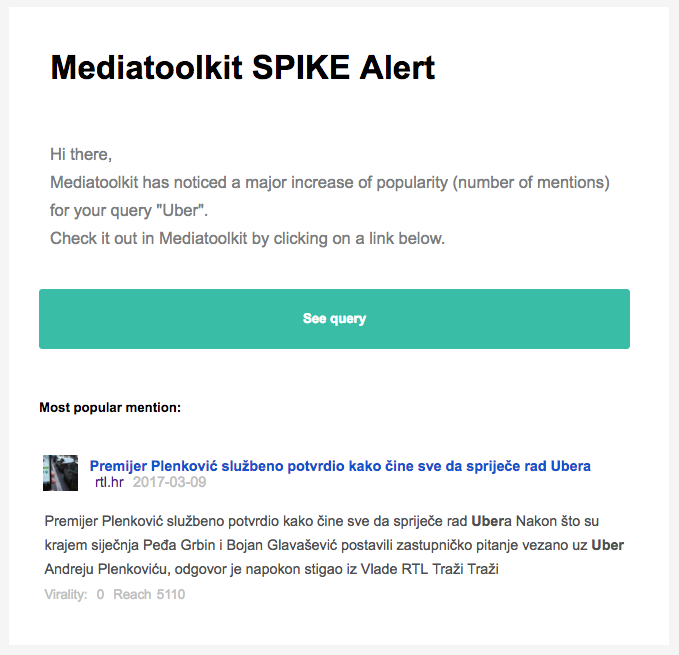 Mediatoolkit will notify you via email, and send a link to the mention with the biggest reach. 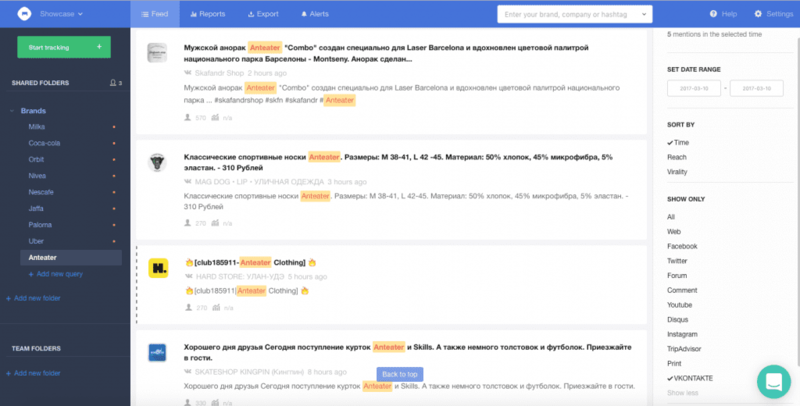 We’ll also send you a link to the most popular post or article where your brand was mentioned. Spike is available for free and paid users and it’s automatically activated with your Mediatoolkit account. Interested in finding out more about how it works? Send us an email. 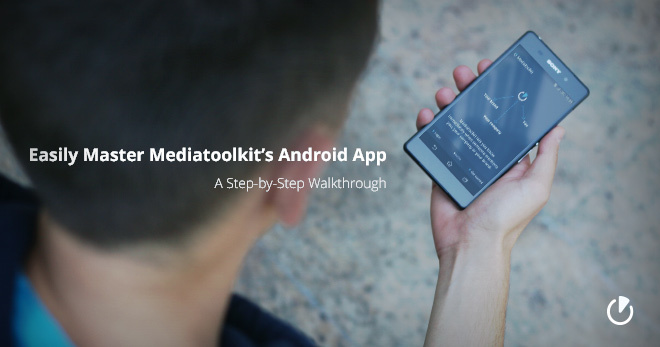 To start receiving Spike, sign up for for a free Mediatoolkit account.